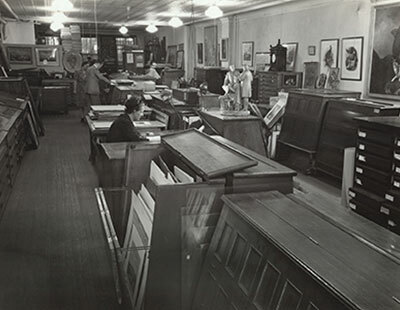 "The roaring twenties was an exciting time to own an art gallery. 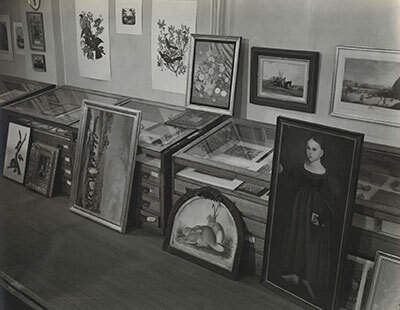 Prices for prints and paintings were at an all-time high." 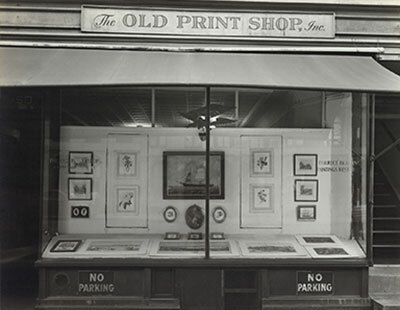 Edward Gottschalk founded The Old Print Shop in 1898. At that time, it was located between 9th and 10th Streets on Fourth Avenue in back of Wanamaker's. 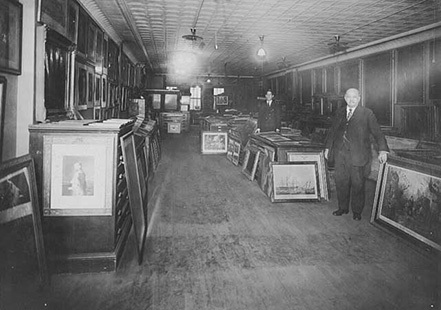 He moved the shop to its current location in 1925. 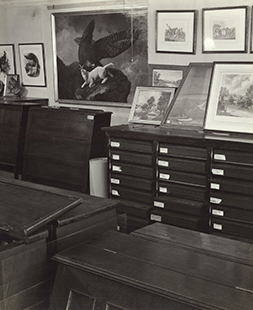 After Mr. Gottschalk's death, his widow hired Harry Shaw Newman, who had sold prints to Mr. Gottschalk, to run the Shop with an option to buy over a five-year period. The contract was signed on October 11, 1928. The final payment was due by October 31, 1933. 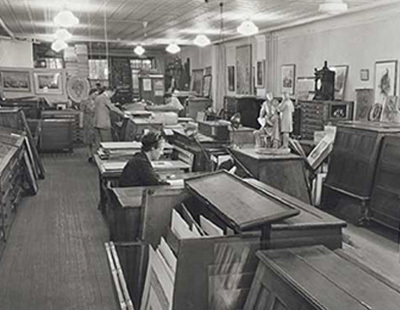 The roaring twenties was an exciting time to own an art gallery. Prices for prints and paintings were at an all-time high. But in 1933, the middle of the Great Depression, few people were buying art, and it was a bad time to owe money. Through the help of a friend and fellow Currier & Ives enthusiast, Harry T. Peters, Harry Shaw Newman was able to get a loan that enabled him to make his final payment on the shop in 1933. 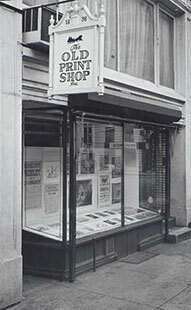 The shop's first period of strong growth began during the 1940's. Although World War II was devastating Europe and Asia, most of America was back at work. 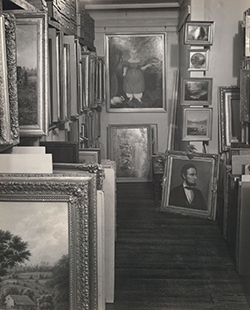 Harry Shaw Newman realized that nineteenth-century American paintings were being overlooked by collectors and museums and was quick to bring them to the attention of the public. In the 1950's it was American primitive art and sculpture. The Shop was instrumental in helping build several notable collections of American primitive art. 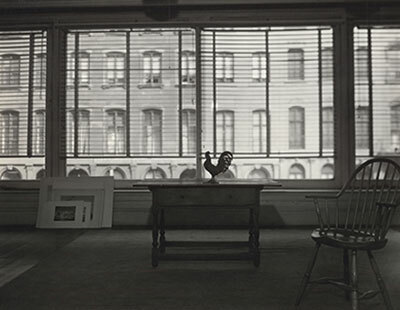 During the 1960's, 1970's, and 1980's there was a re-evaluation of American art from the past two centuries. 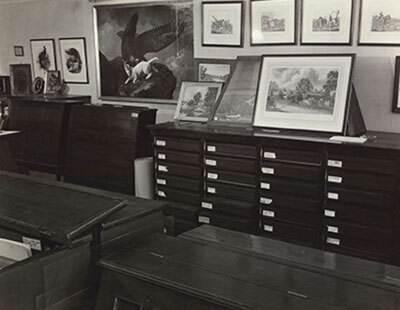 The Shop chose at this time to concentrate on American printmakers and publishers from the eighteenth, nineteenth, and early twentieth centuries. 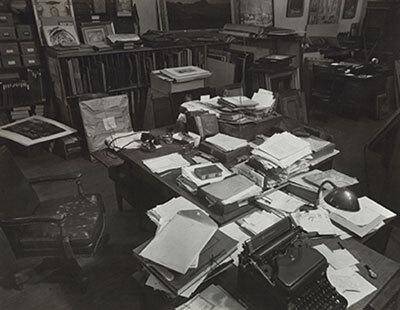 Today, many museums in America, Europe, and Asia collect and display fine prints. 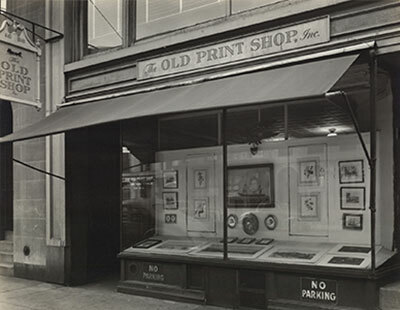 As The Old Print Shop moves into its second century, it will continue to look for art that has been overlooked and reintroduce it to patrons and collectors.